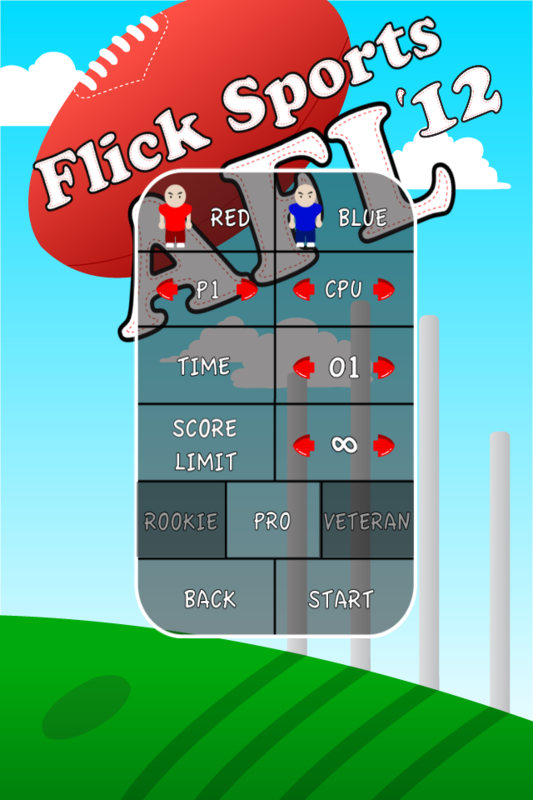 Flick Sports AFL 2012 is now available to download just in time for the start of the AFL season! "FINALLY! Really nice. 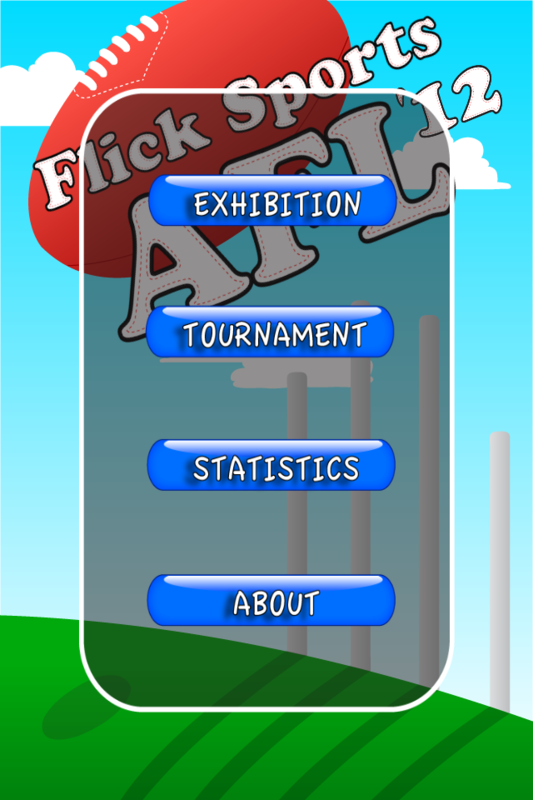 it is nice to finally see an AFL app that is actually a game. this may get me fired though :( haha. good work. suggestions: there should be an option to change the team layout on the field. maybe some more teams with different colours. should be able to name each individual player so stats can be tracked. other than that. nice!" "An AFL game! 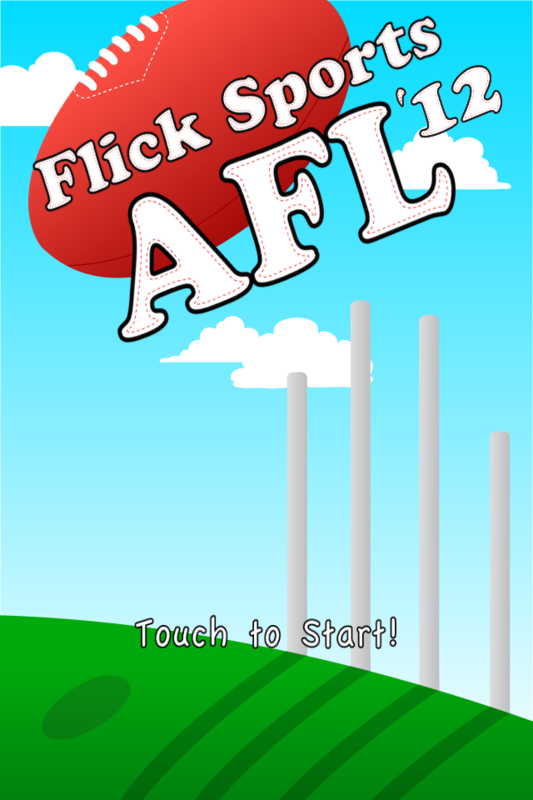 If you like afl, you should get this game! It's fun, gives you a challenge, and it keeps you coming back for more. I recommend it for those into afl. Great work!" We are also starting work on the league feature which will allow players to play through a whole customisable season. 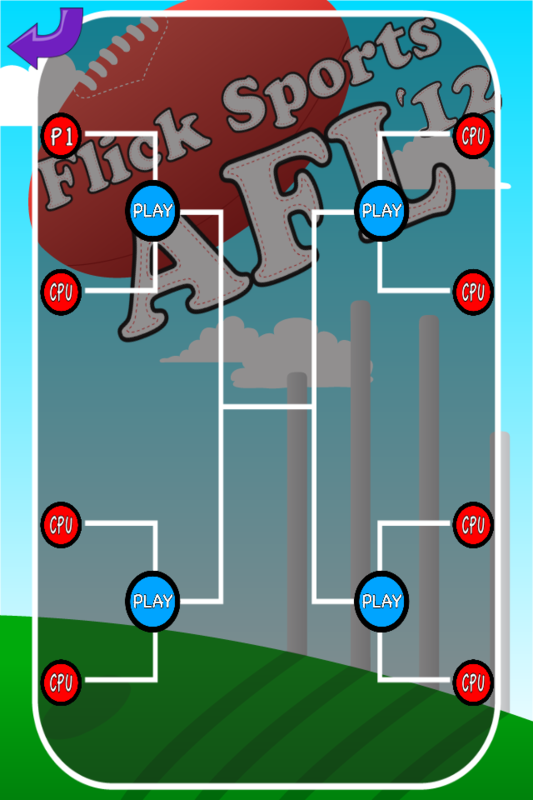 Easy to play but hard to master, Flick Sports AFL 2012 offers both an exhibition and tournament mode. Play against three levels of AI or against another human opponent on the same device. We are a small Australian development team. Please send us any feedback and suggestions for new features. Thank you for all the support we have received. Please keep your feedback coming - our aim is to continue developing this game. If you have any other comments, please email us as it is not possible for us to respond via the App Store. General Fixes. Added skill score and game score. Balanced difficulty.